As our communities work to recover from Hurricanes Harvey and Irma, SFS Tax & Accounting Services shares the tax relief measures announced by the Internal Revenue Service (IRS) in response to the disaster. (Maria effects Puerto Rico, only) We hope this article will shed light on several tax relief measures announced by the Internal Revenue Service (IRS) in response to the disaster. After these events, the IRS issued public releases related to income tax returns due on September 15th and October 15th. The IRS has extended the due dates for these returns until January 31st, 2018. However, it must be noted that these extensions are available only for those return for which an extension was already filed in March (for partnership and S-corps) and April (for C-corps and individuals). 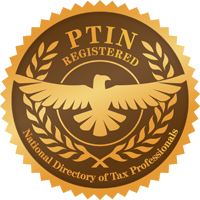 Tax relief is available in three forms: (1) extended time for filing tax returns and paying taxes; (2) hardship loans and/or distributions from retirement plans; and (3) claiming a deduction for a casualty loss under special timing rules that apply to federally declared disaster areas. The IRS is offering this expanded relief to any area designated by the Federal Emergency Management Agency (FEMA) as qualifying for individual assistance. Currently, The IRS has granted relief to everyone affected by Irma in ALL 67 counties in Florida. For those in Texas and affected by Harvey, the counties in which relief is granted are Aransas, Bee, Brazoria, Calhoun, Chambers, Fort Bend, Galveston, Goliad, Harris, Jackson, Kleberg, Liberty, Matagorda, Nueces, Refugio, San Patricio, Victoria, and Wharton Counties. The tax relief postpones various tax filing and payment deadlines that occurred starting on August 23, 2017. As a result, affected individuals and businesses will have until January 31, 2018, to file returns and pay any taxes that were originally due during this period. This includes September 15, 2017, and January 16, 2018, deadlines for making quarterly estimated tax payments. For individual tax filers, it also includes 2016 income tax returns that received a tax-filing extension until October 16, 2017. The IRS noted, however, that because tax payments related to these 2016 returns were originally due on April 18, 2017, those payments are not eligible for this relief. A variety of business tax deadlines are also affected including the October 31 deadline for quarterly payroll and excise tax returns. In addition, the IRS is waiving late-deposit penalties for federal payroll and excise tax deposits normally due on or after August 23 and before September 7, if the deposits are made by September 7, 2017. According to the IRS, it will automatically provide filing and penalty relief to any taxpayer with an IRS address of record located in the disaster area. Thus, taxpayers need not contact the IRS to get this relief. However, if an affected taxpayer receives a late filing or late payment penalty notice from the IRS that has an original or extended filing, payment or deposit due date falling within the postponement period, the taxpayer should call the number on the notice to have the penalty abated. In addition, the IRS said it will work with any taxpayer who lives outside the disaster area but whose records necessary to meet a deadline occurring during the postponement period are located in the affected area. Taxpayers qualifying for relief who live outside the disaster area need to contact the IRS at 866-562-5227. This also includes workers assisting the relief activities who are affiliated with a recognized government or philanthropic organization. Separately, the Texas Comptroller’s office has announced that taxpayers in declared disaster areas affected by Hurricane Harvey can postpone paying state taxes while they recover from storm-related losses. Businesses located in those areas can call the Comptroller’s office and request up to a 90-day extension to file and pay certain monthly and quarterly state taxes. The toll-free number for requesting such extensions is (800) 252-5555. We at SFS can help if this is an issue for you. We would need to get a power of attorney. So please call our office if this pertains to you for more information and estimated costs. The IRS also announced that 401(k)s and similar employer-sponsored retirement plans can make loans and hardship distributions to victims of Hurricane Harvey and members of their families. Participants in 401(k) plans, employees of public schools and tax-exempt organizations with 403(b) tax-sheltered annuities, as well as state and local government employees with 457(b) deferred-compensation plans may be eligible to take advantage of streamlined loan procedures and liberalized hardship distribution rules. Though IRA participants are barred from taking out loans, they may be eligible to receive distributions under liberalized procedures. Retirement plans can provide this relief to employees and certain members of their families who live or work in disaster area localities affected by Hurricane Harvey and designated for individual assistance by the Federal Emergency Management Agency (FEMA). Currently, parts of Texas qualify for individual assistance. A list of eligible counties may be found fema.gov/disasters. To qualify for this relief, hardship withdrawals must be made by January 31, 2018. This broad-based relief means that a retirement plan can allow a victim of Hurricane Harvey to take a hardship distribution or borrow up to the specified statutory limits from the victim’s retirement plan. It also means that a person who lives outside the disaster area can take out a retirement plan loan or hardship distribution and use it to assist a son, daughter, parent, grandparent or other dependents who lived or worked in the disaster area. To the extent that you suffered property damage as a result of the storm, you may be eligible for a loss deduction on your tax return. The amount of the loss is the lesser of (1) your adjusted basis in the property before the casualty or theft, or (2) the decrease in fair market value of the property as a result of the casualty or theft minus any insurance or other reimbursements you receive or expect to receive. The amount you can deduct generally depends on whether the damaged property was business, income-producing, or personal-use property. If the loss occurred in a federally declared disaster area (see the list of counties above), a special rule allows you to choose between claiming the deduction in either the year when the loss occurred (2017) or the preceding tax year (2016). You can claim losses relating to personal-use property (such as your home or personal-use vehicle) only as an itemized deduction on Schedule A of your Form 1040. Such a deduction is subject to a $100 reduction rule and a 10 percent reduction rule. Under the $100 reduction rule, each casualty loss is reduced by $100. Under the 10 percent reduction rule, the total of all casualty losses is reduced by an amount that equals 10 percent of your adjusted gross income. (AGI). Normally, a casualty loss can only be deducted in the year in which the loss occurred. But when a loss happens in a federally declared disaster area, a special rule gives the taxpayer the option of claiming the loss in the preceding tax year – in this case, 2016. If we determine that you would get a bigger tax benefit from claiming such a Harvey/Irma-related loss in 2016, we can file an amended return, if necessary. However, you need to contact this us if you want to take advantage of this. Why would you want to do this? If your adjusted gross income may be less in 2016 that it may be in 2017, then your 10% of AGI limitation will be less. Losses on business property (other than employee property) and income-producing property are not subject to these limitations. However, if a business or income-producing property is completely destroyed, the decrease in fair market value used to calculate the loss is not considered. Unfortunately, the cost of protecting property against a casualty (e.g., boarding up a house ahead of the storm) is not part of a casualty loss. Nor is the cost cleaning up after the storm or the cost of repairing damaged property. However, if the property is a business property, these expenses are deductible as business expenses. Enrolled Agent Jeffrey Schneider, EA, CTRS, NTPIF and SFS Tax & Accounting Services are experts in these matters and can advise you, your friends and/or family accordingly. Remember, at SFS, Tax & Accounting Services, We got your back… taxes!